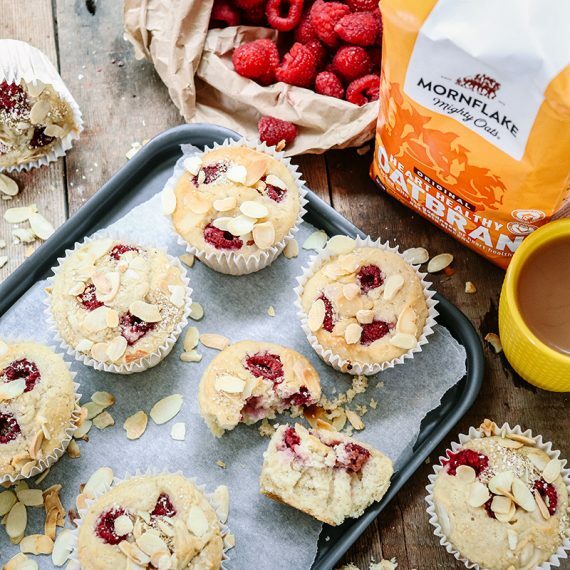 If you like the flavours of a Bakewell tart, you’ll love these oaty almond muffins studded with juicy raspberries. 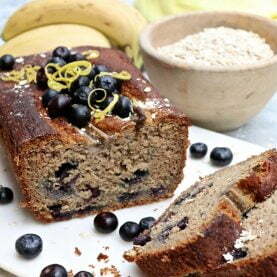 Enjoy yours with a cup of tea for breakfast or an afternoon snack. Pour the unsweetened almond milk into a bowl and add the apple cider vinegar, stir and set to one side for 10 to 15 minutes, until the almond milk curdles. Put the muffin cases into a 12 hole muffin tin. 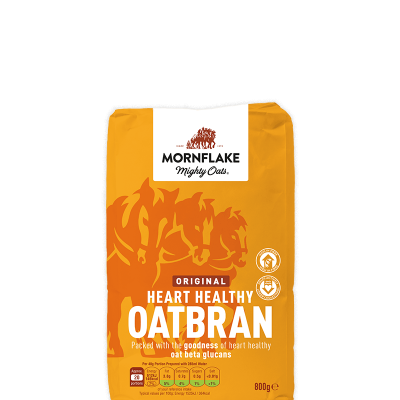 Sieve the flour into a large mixing bowl, then add the ground almonds, oatbran and baking powder. Stir and now add the almond extract, maple syrup and buttermilk, stir well until all the ingredients have combined. 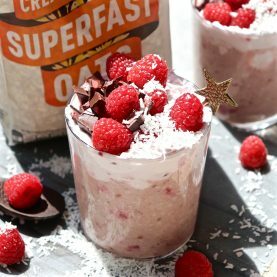 Use a ladle to evenly distribute the mixture between the cases, add 3 raspberries to the top of each muffin before sprinkling with flaked almonds and oatbran. Place in the centre of the oven and bake for 30 minutes, until golden and springy to touch. Remove from the oven and allow the muffins to cool slightly in the tin before removing and placing on a wire cooling rack.